Ships tomorrow if you order in the next 24 hours 18 minutes. Enrich your skin and fight aging overnight with an all-natural moisturizer. Evening Rich Nutritional Moisturizer by DeVita features a rich, yet breathable formula. 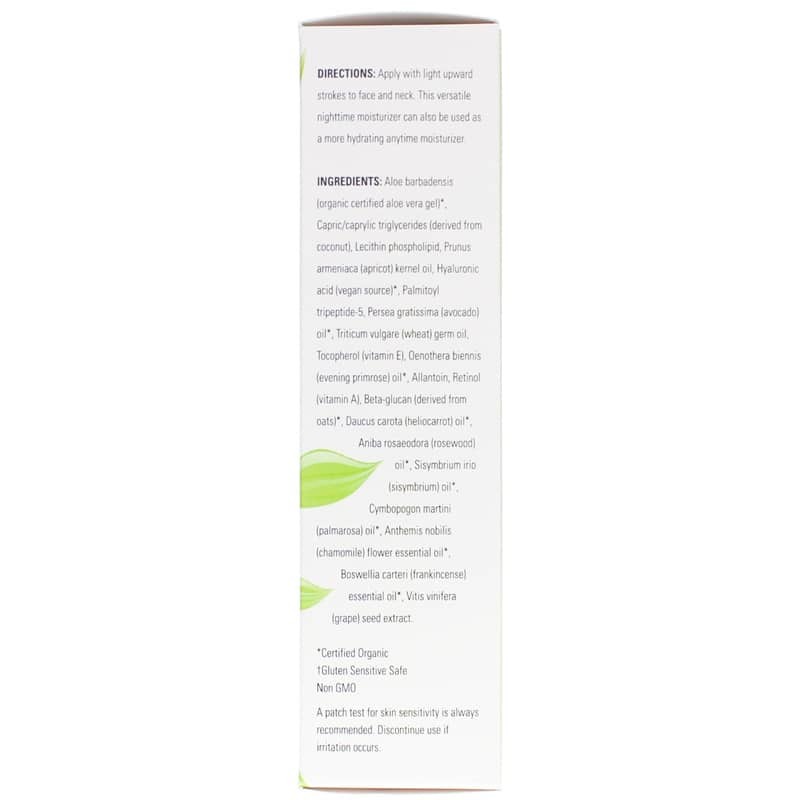 It is designed with certified organic aloe vera, avocado, hyaluronic acid and age-defying tripeptides. 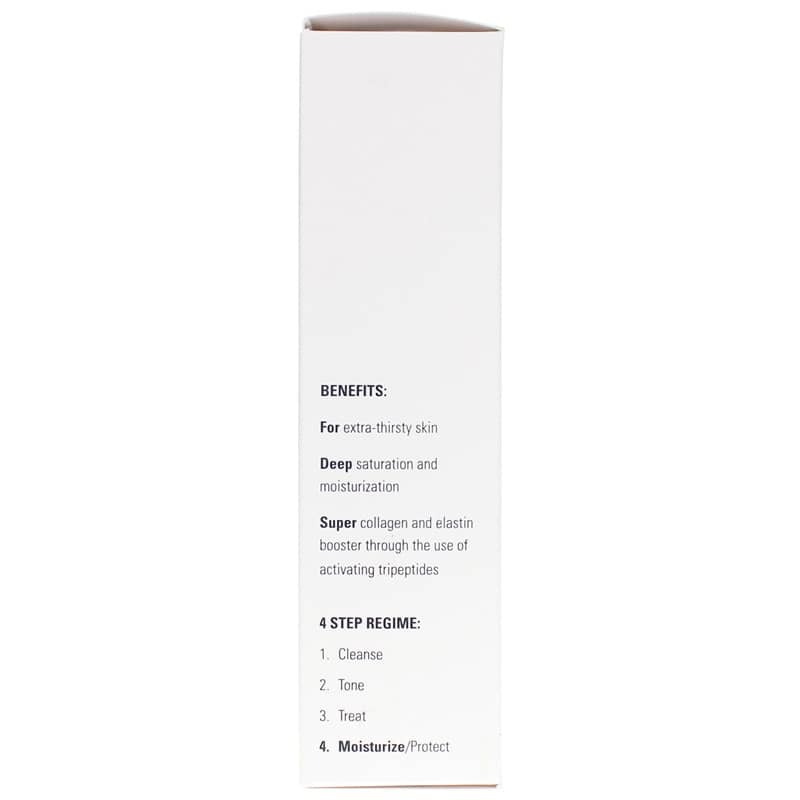 These ingredients work hand-in-hand to provide gorgeous overnight skins restoration. Add this moisturizer to your skin care collection and achieve young, beautiful skin naturally. Aloe barbadensis (organic certified aloe vera gel)(1), Capric/caprylic triglycerides (derived from coconut), Lecithin phospholipid, Prunus armeniaca (apricot) kernel oil, Hyaluronic acid (vegan source)(1), Palmitoyl tripeptide-5, Persea gratissima (avocado) oil(1), Triticum vulgare (wheat) germ oil(2), Tocopherol (vitamin E), Oenothera biennis (evening primrose) oil(1), Allantoin, Retinol (vitamin A), Beta-glucan (derived from oats)(1)(2), Daucus carota (heliocarrot) oil(1), Aniba rosaeodora (rosewood) oil(1), Sisymbrium irio (sisymbrium) oil(1), Cymbopogon martini (palmarosa) oil(1), Anthemis nobilis (chamomile) flower essential oil(1), Boswellia carteri (frankincense) essential oil(1), Vitis vinifera (grape) seed extract. Apply with light upward strokes to face and neck. This versatile nighttime moisturizer can also be used as a more hydrating anytime moisturizer.